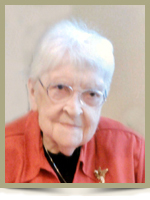 Rafuse, Helen Ruth, 90, of Charleston, Queens County, it is with great sadness that we announce Helen passed away peacefully at the Rosedale Home for Special Care in New Germany on Sunday, March 30th, 2014, where she recently celebrated her 90th birthday with her passionate care givers and her grandson. Born on December 12th, 1923 in Charleston, she was a daughter of the late Lawrence and Dorothy (McKinnon) Anthony. Helen was a kind gentle loving grandmother, mother, wife, sister and friend, she made home…..home and will be remembered for her passion in baking, her talent in knitting, crocheting, other crafts and making ones close to her feel loved. She was one tough cookie, she battled sickness many times over the years, especially of late, “I’m fine” she would always say. She will be sadly missed, but not forgotten by those she leaves behind. Helen is survived by her grandchildren, Paul Gillan, of Halifax, Norma (Harvey) Hustins, of Bedford, Tanya Gillan (Nick Bulge), of Vancover B.C. ; sisters, Roxie (Ingram) Johnson, of Liverpool, Edna Meisner, of Bridgewater, Myra Knox, of Brooklyn; many nieces and nephews. I have special memories of time spent with Aunt Helen the last few years she lived in Charleston. It’s those ‘precious’ memories that will carry you through the difficult times. Keeping you in thought and prayer. It is with great saddness that I have read of the passing of Helen,she was a gracious lady and a friend to everyone.She will be missed by everyone who had the pleasure of knowing her.I was at her home many,many times while working with VON and I enjoyed every visit with her,on time off I would even stop to visit while in the area.Our condolences to all the family at this sad time. PLEASE ACCEPT MY MOST SINCERE CONDOLENCES IN THE LOSS OF AUNT HELEN. YOUR FAMILY IS IN MY THOUGHTS AND PRAYERS AT THIS MOST DIFFICULT TIME. My sincere condolences to all of Helen’s Family. Living a few houses away I got to see her over the years and talk with her. She one lovely lady!!! I am so sorry to hear of Helen’s passing. She was a cousin and I grew up with Joan who was my age.I enjoyed seeing her and Freeman in town a few years ago before his death and her moving to the nursing home. My prayers are with her family. To Paul, Norma, Tanya, and family – please accept our sincere condolences on the passing of Aunt Helen. I have some great memories visiting with her and Uncle Freeman over the years. I am so pleased Aunt Helen got to meet my oldest son Leyton during a visit a couple of years ago. It was great to watch her smile and enjoy his company that day. She had a big heart and a warm demeanour that made you feel “at ease” when visiting. You are all in our thoughts and prayers during this time. On behalf of Hector’s family I would like to extend our Sincere Sympathy to Helen’s family. It was our pleasure to get to know and chat with Helen during our visits to Rosedale. She was such a kind hearted lady, always had a smile and a Thank You. God Bless. My sincere condolences to Helen’s Family. I had the pleasure of knowing her while visiting at Rosedale Home. She was an absolute treasure & spoke fondly of her Family all the time. She was a wonderful friend to Grace & looked out for her often while they were roommates. She always spoke highly of the great care she received while living at Rosedale. During a visit with her I took her Fish & Chips & Pie. She sure enjoyed that meal. After lunch she took me for a Tour of the new addition to Rosedale. She was very proud of her New Room & all who took exceptional care of her well being. May she Rest in Peace. I want to extend heartfelt sympathy on your loss. May you find comfort in the kind words and thoughts of family and friends at this difficult time.